yeah, cool, no friends, yeah. 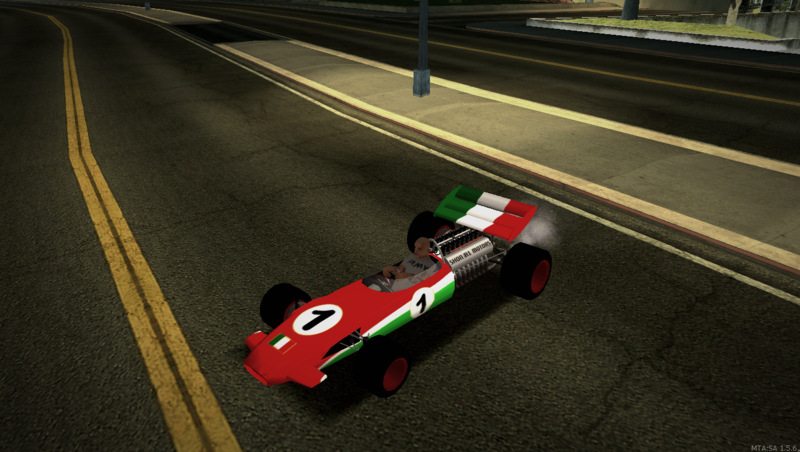 Can you participate without a teammate and just try for driver's champion? 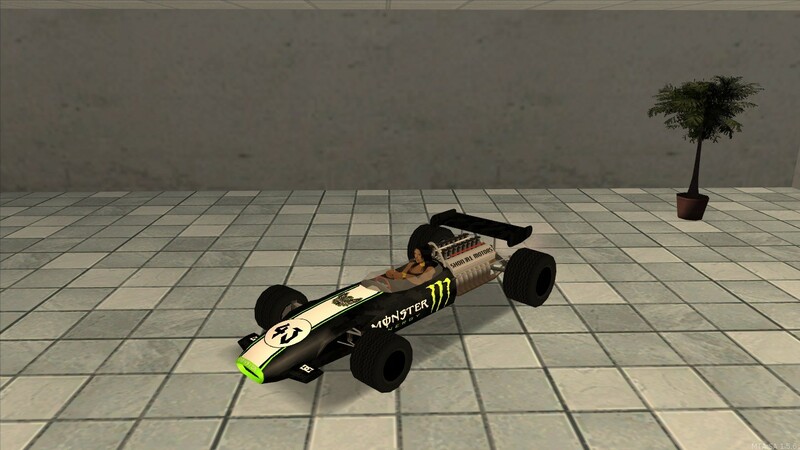 (25-03-2019, 12:49)Rooboty Wrote: Can you participate without a teammate and just try for driver's champion? These are the Drivers, Teams and Groups, on the day of the event I will contact both groups to let them know the password to race. 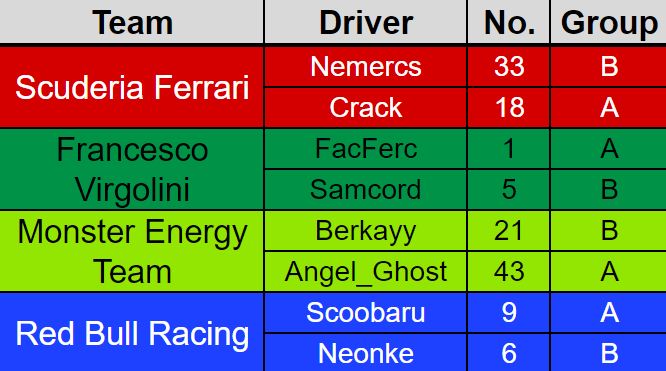 Nemercs won the Driver's Championship! And Red Bull Racing won the Teams' Championship! Congratulations to the winners! Your rewards will be delivered very soon!